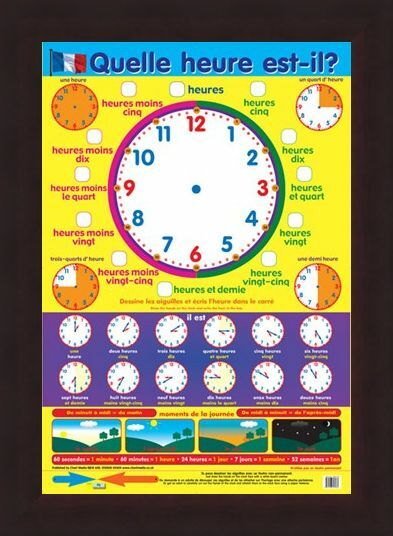 Educational Mini Poster: Quelle heure est-il? Soon you will be able to give the answer in your best French accent with this fun packed poster to teach you how to tell the time in French. 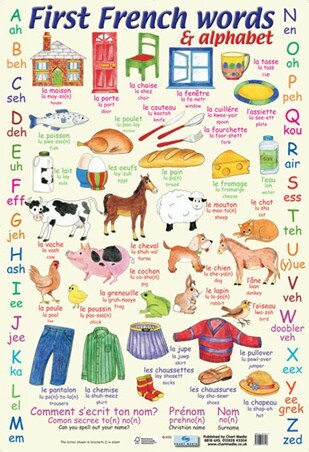 Wow your friends with your French knowledge after you have completed the brilliant exercises on this glossy poster. 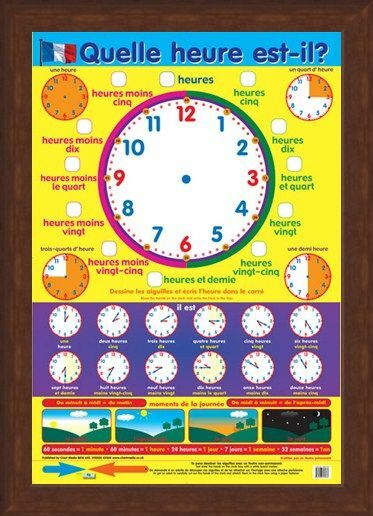 Start by drawing the hands on the clock and then filling in the hour in the box in French, you can then follow this the whole way around and get to grips with the French language. 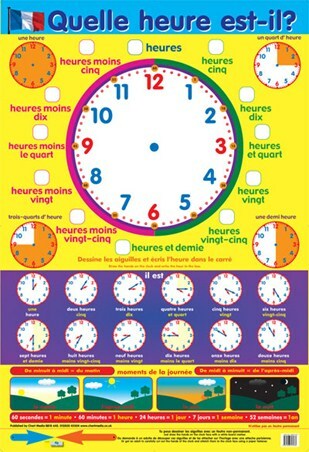 Time's of the day are also included, such as "le matin" meaning the morning and "le soir" for the evening. 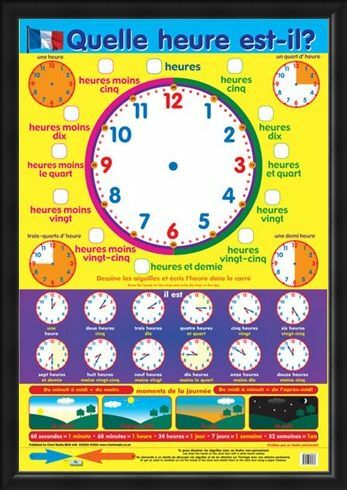 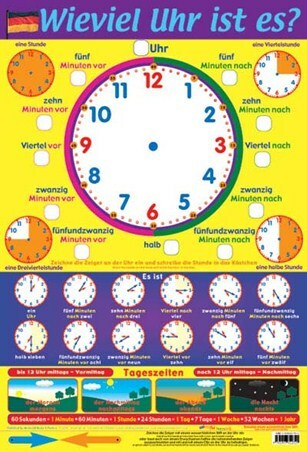 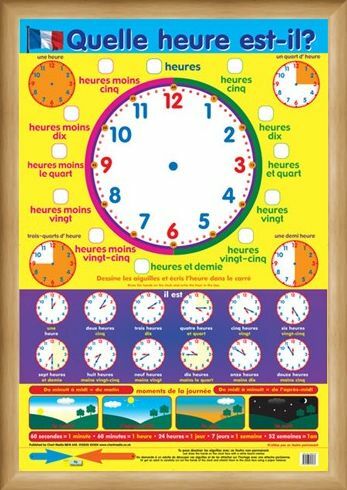 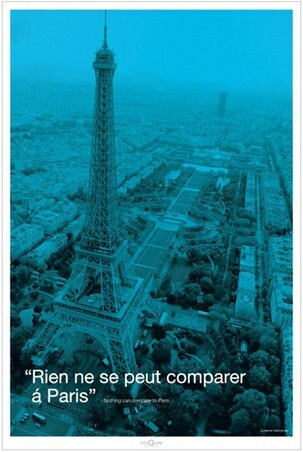 Have fun as you learn with this stunning poster that will have you speaking fluent French around the clock in no time! 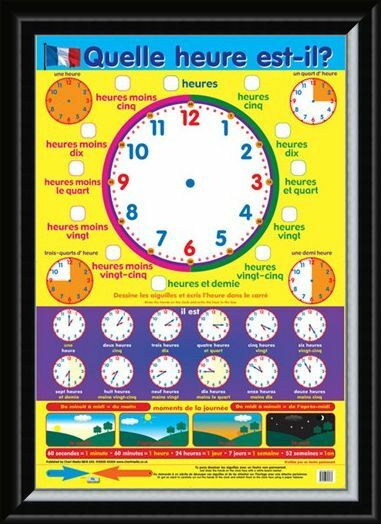 High quality, framed Quelle heure est-il?, How to tell the time in French mini poster with a bespoke frame by our custom framing service.